The Vermilion County Mental Health 708 Board is offering both Youth and Adult Mental Health First Aid Training. Jim Russell, Executive Director of the Mental Health Board, says training sessions are being held both this month and in February. Eight hour Youth Mental Health training sessions are scheduled for next Tuesday, January 22nd, and again on February 21st. 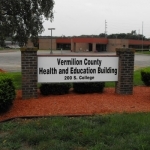 Both of those sessions will be held from 8:30 a.m. until 5:00 p.m. at the Vermilion County Health Department in Danville. Split training sessions are also scheduled on the four Tuesdays during February. Adult Mental Health First Aid Training will occur on January 23rd and February 7th. It will also be held from 8:30 a.m. until 5:00 p.m. at the Vermilion County Health Department in Danville. Those attending the training and passing a brief written exam will receive a three year certification. Those interested in attending the sessions can call Beth Knecht, Project Director at (217) 516-2298 to register or get addition information. Or call Jim Russell at (217) 443-3500. The training is being provided with support from a grant from the Vermilion Healthcare Foundation and the Vermilion County Mental Health 708 Board.